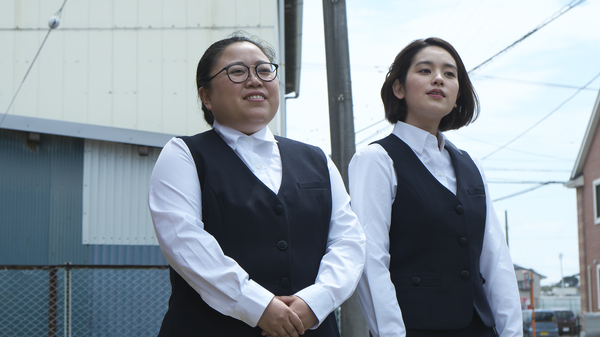 Two sets of siblings and their life-long rivalries reach crisis point in this darkly humorous family drama from the director of Himeanole, Keisuke Yoshida. Diligent printing company salesman Kazunari (Masataka Kubota) struggles to reel in his older brother who turns up at his apartment after finishing a prison sentence for armed robbery. Despite Kazunari’s best efforts to help Takuji start afresh, it’s not long til he’s back to scheming a new get-rich-quick plan. Meanwhile, brainy Yuria runs her family’s printing business whilst tending to her sick grandfather, cracking self-depreciating gags about her weight to mask her loneliness. Much to her frustration, her younger sister Mako floats around the office using her beauty to get whatever or whoever she wants. When Kazanari visits Yuria’s office, she instantly falls for him – but his attention is drawn to her sister. As Kazanari and Mako’s relationship begins to flourish, the four siblings come head to head and what was once petty rivalry develops into all out war. Hilarious with some unexpectedly sobering twists, Thicker Than Water perfectly captures the tension and tenderness that exists between siblings.